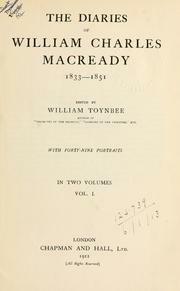 Diaries, 1833-1851: Edited by William Toynbee. 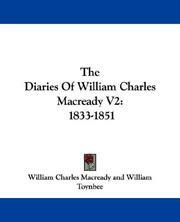 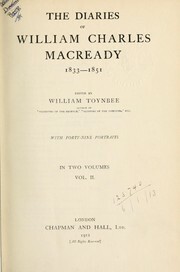 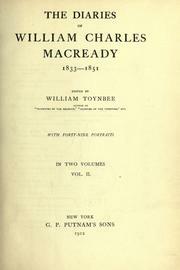 The diaries of William Charles Macready: 1833-1851. 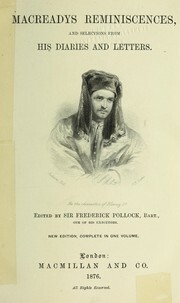 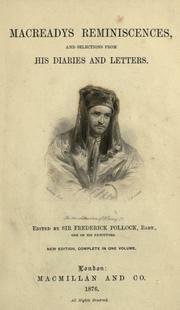 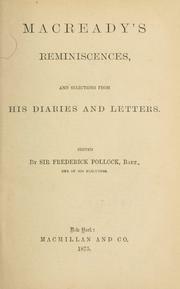 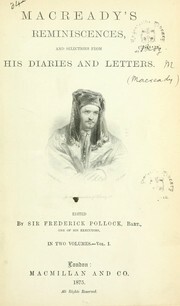 Reminiscences, and selections from his diaries and letters: Edited by Sir Frederick Pollock. 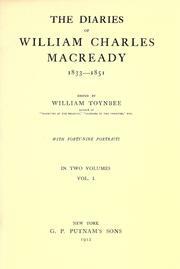 Are you sure you want to remove Macready, William Charles from your list?